RedBeam Inventory Tracking allows you to streamline the tracking of inventory levels and item movements in your warehouse, distribution center, stock room or store. All RedBeam applications come in two versions, standard and mobile. The standard editions of the software allow for data collection using cabled barcode scanners attached to PC workstations. The mobile editions allow for data collection using cabled barcode scanners attached to PC workstations as well as the ability to collect data on scanner-enabled mobile computers. 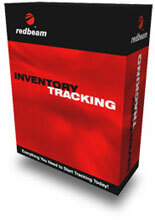 RedBeam Inventory Tracking supports Windows XP, Server 2003 and Vista. The RedBeam RB-SIT-1 is also known as Red Beam	RED-RB-SIT-1	or RBSIT1	.